A dream vacation turned into a nightmare for an Oconomowoc couple aboard the Viking Sky cruise ship stranded at sea off the coast of Norway over the weekend. At times, they thought they were going to die. 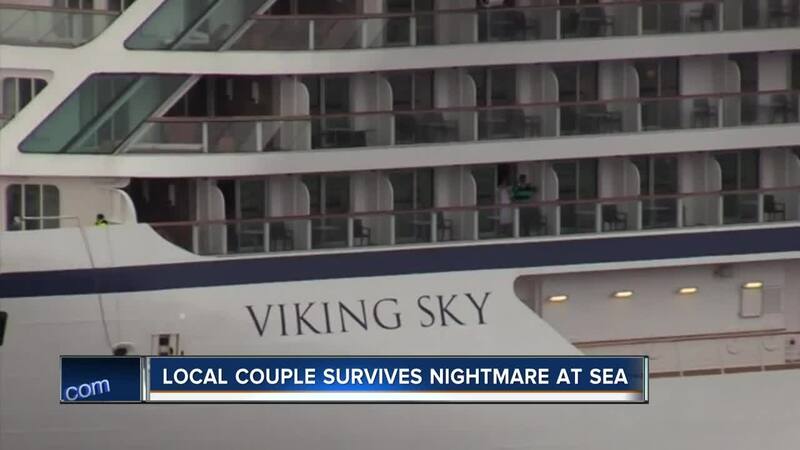 OCONOMOWOC — A dream vacation turned into a nightmare for an Oconomowoc couple aboard the Viking Sky cruise ship stranded at sea off the coast of Norway over the weekend. At times, they thought they were going to die. "We were just basically terrified," said Laura Garlock. High winds and rough waters pelted passengers, including Garlock and her husband Wally. "It was difficult to walk on the ship. Had to hold onto the handrails," said Garlock. "All of a sudden all this glass started flying." The Garlocks didn't panic. Laura went to check on their room. "All the furniture was turned upside down, the table was knocked over, the coffee maker was on the floor. It looked like a train had gone through the room," said Garlock. The conditions only got worse. "All of a sudden a huge wave hit, and I fell backward and hit my head. Then all the power went out on the ship," said Garlock. The emergency alarm sounded, and Laura reunited with her husband at their assigned emergency meeting place. "We saw a wave coming that was actually higher than where we were sitting," said Garlock. "When that wave hit the ship, the window broke, water started flooding in, people were screaming, tables were flying, people were flying," said Garlock. 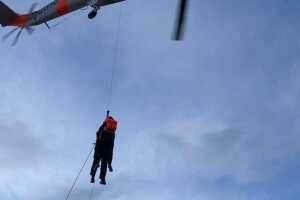 They waited for 16 hours before getting airlifted from the ship. "People were bleeding, one person broke their arm, another person had a compound fracture on their leg," said Garlock. The Garlocks are thankful to be alive, off the ship and on their way home. An investigation is underway after dozens were hospitalized coupled with a daring rescue to get hundreds off the ship.